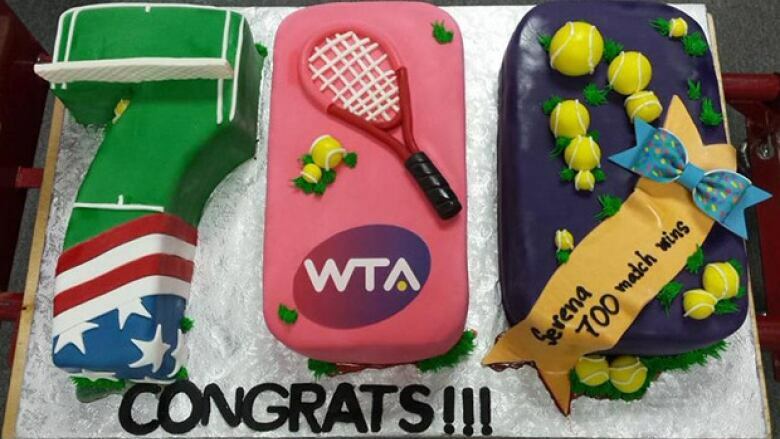 Serena Williams won her 700th career match Wednesday at the Miami Open. She celebrated afterwards with one heck of a cake. Tennis star Serena Williams won her 700th career match Wednesday at the Miami Open, beating Sabine Lisicki 7-6, 1-6, 6-3. She celebrated afterwards with an incredible cake. Hopefully she gave sister Venus a slice.